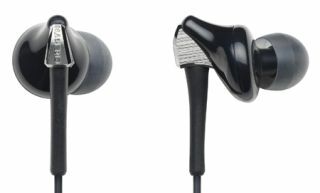 Cresyn 'half in-ear' headphones focus on comfort | What Hi-Fi? If you find conventional in-ear headphones too intrusive, this design from Cresyn could be the solution to your problem. The Cresyn C415E is designed to fit snugly just outside the ear canal, intruding less within the ear and making them more comfortable to wear over long periods, the maker claims. Soft silicon ear tips are provided in four sizes, and sound is delivered via a pair of 14.3mm drivers. They're brought to the UK exclusively by iHeadphones, are available in black or white, and can be bought online for £17.99 a pair.